Making a birthday video is one of the best ways to show your friends, relatives or someone you love. You may buy the most expensive things that you can afford yet there is nothing more special if you do it with your own effort. 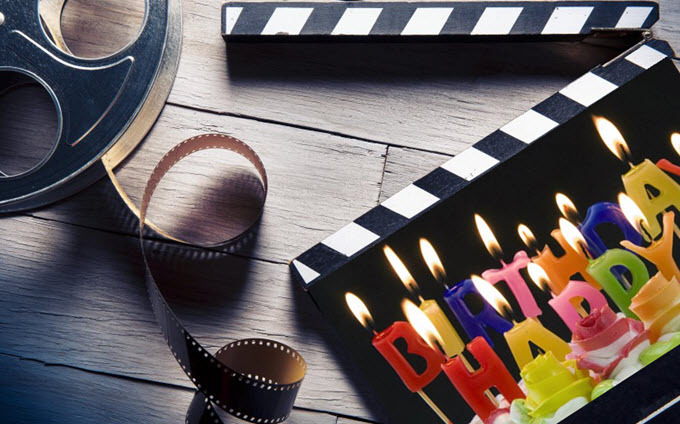 If you just make birthday video, surely the celebrator will much more appreciate you because in this busy world that we have, only few people find time to make as such. For you to be able to make an excellent birthday video, you may use the following recommended tools. ApowerEdit is famous in nowadays’ video editing filed. 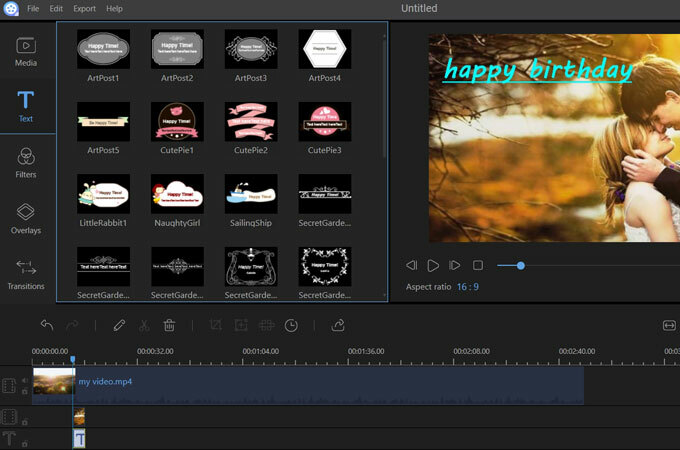 This is a professional video editing tool which provides you with basic and advanced functions to make a birthday video. It allows you to cut videos, merge clips into one file, and adjust the volume of a video. 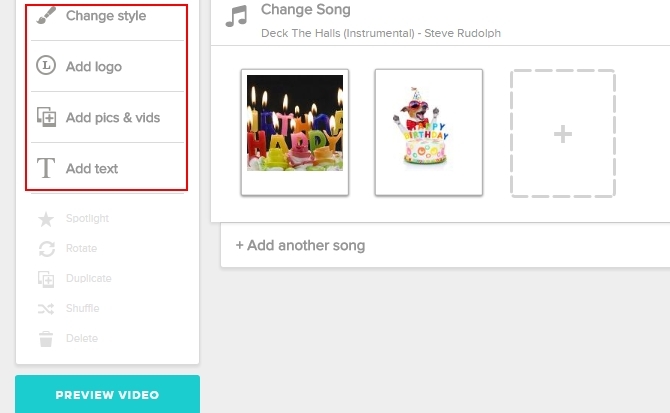 Furthermore, you can add filters, transitions, overlays, text, pictures and background music to your birthday video. With its intuitive interface, and powerful functions you can easily make an awesome birthday video to surprise your friends or relatives. Here are the steps for you to make a birthday video with ApowerEdit. Import pictures, videos, music and all the relative materials to the media. Drag and drop the materials to their respective tracks. Click on “Edit” button in the toolbar to edit the video. Drag and drop filters, overlays, transitions, and elements to the timeline and adjust their sizes and locations. Click on “Export” to save the video. 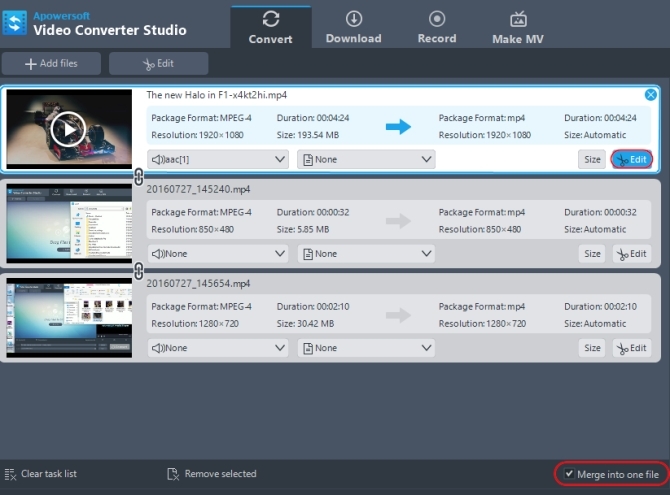 Video Converter Studio is an application that is designed to help you convert any file from one format to another. This tool allows users to easily convert multiple files all at the same time. Aside from that, it comes with a very helpful feature which is its editing function. 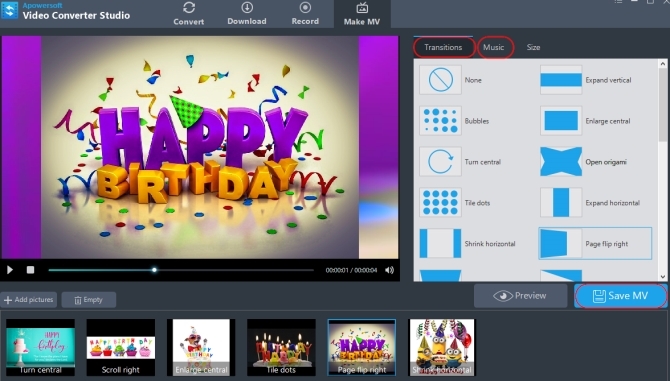 Using its editing feature, you can easily edit the birthday video that you want to make. In addition, its “Make MV” function will likewise help you in making a video demo by allowing you to compile all the raw pictures that you can use. To fully understand how this program works, follow the steps below on how to make birthday videos. Launch the application and click “Add files” button so that you may add the compilation of videos that you recorded (these videos can be those that you recorded during your activities together, or any video that the celebrator did). Check “Merge into one file” box so that you can have them all in one file. Go to “Edit” tab and edit the videos in accordance to your preferences. You may add texts, watermark, effects, crop, trim or rotate the video. Click “OK” and choose the file format that you want. Click “Convert” to save the file on computer. Launch Video Converter Studio and then click “Make MV” tab. Click “Add pictures” button so that you may insert all the raw materials or photos that you will use. Choose “Transitions” in every picture that you will use and click “Add music” to add background song. Click “Save MV” button to save the file on your PC. Apart from these features, you may also record the screen of your computer if you want to by just going to “Record” tab. Furthermore, you may also use it to download videos directly from video sharing sites like YouTube, Vimeo and more. Animoto is an online application that is solely made for the purpose of making a video presentation. With this app, you can compile pictures or video clips into one file to make a happy birthday video. Aside from that, you also have different styles to choose from. The only problem with this one is that you need to sign up for an account to start and it will only give you the trial version. You need to purchase its full version afterwards. To use it just simply go to its page, click “Create” button and then choose the style that you want. After that, insert all the pictures and video clips that you will use. Next, choose the music that you want to use and add some texts if you wish too. Save the video and download it on your computer. 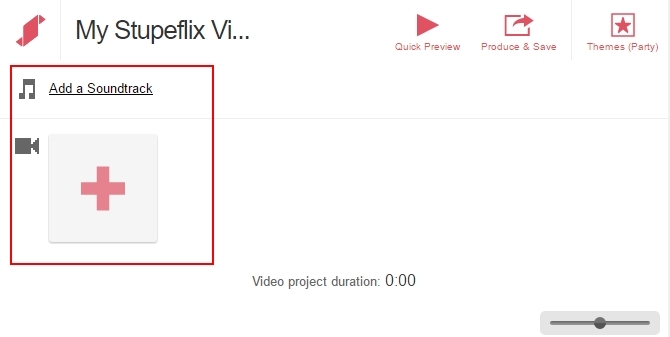 Another way to make birthday video online is by using the Stupeflix tool. Just like the second way, this tool offers different kinds of theme and it will allow you to insert all the photos and video clips that you want to include in your video. However, you also need to sign up before using it. After signing up, you will be directed in a page where it will ask you to add sound track and videos. Uploading is a little time consuming (depends on the number of uploads, site users and net speed). Once all the data are inserted, you may just click “Produce and Save” to save the file on your computer. You see that all of the tools given can help you make a birthday video. However, if you examine them closely, it is very evident that Video Converter Studio seems to be the perfect tool. Why? Because it is jump-packed with great features which you may actually use in most instances.